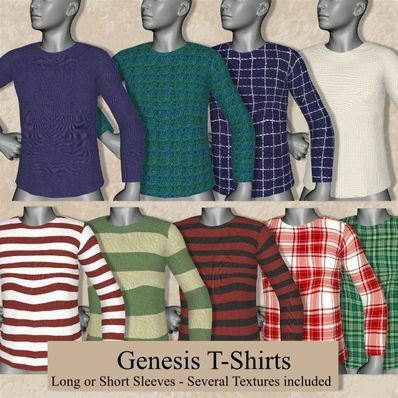 T-Shirts for Genesis for use in Daz Studio 4. T-Shirts with long or short sleeves. Will work with most poses and shapes. The T-Shirts are great, thank you for the various MAT zones and different textures.